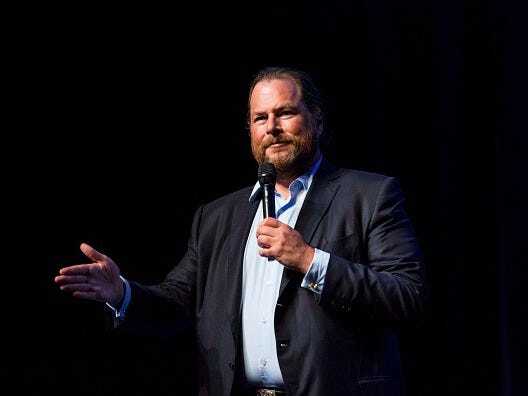 When Marc Benioff started Salesforce back in 1999, he pledged to donate 1% of the company’s annual revenues, 1% of its employees’ time, and 1% of its product value to nonprofit organisations every year. The company has held steadfast to this pledge as it’s grown to become the fourth-largest software company in the world, with more than $8 billion expected in revenue this year. But Benioff’s social interest extends beyond that pledge. He’s been a vocal critic of state legislation that could be used to discriminate against LGBT people, threatening to withdraw business from Indiana and Georgia when they passed such laws. He’s also a huge presence in San Francisco, where he grew up and where Salesforce is based — he and his wife Lynne donated $200 million to the University of California San Francisco (a medical school and hospital) to build a children’s hospital, and Salesforce has “adopted” 20 public schools in the city, donating $14 million and 10,000 hours of employee time. We talked to Benioff (No. 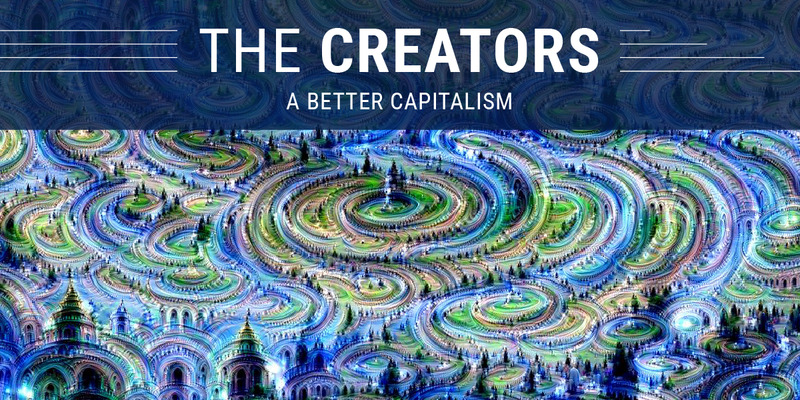 4 on the BI 100: The Creators) about the origins of the 1-1-1 pledge, the state of capitalism, and more. A lightly edited transcript of our conversation is below. Matt Rosoff: A lot of people right now look at growing inequality right now and they think capitalism is the enemy, or isn’t working. There are two successful anti-establishment presidential campaigns going on right now based on that idea. As a successful businessman, do you have an obligation to change that perception, and how do you do it? Marc Benioff: The antidote to inequality is equality. The question is how do you achieve equality? I believe that for business, which is where I can speak, we have to shift from shareholder maximization to stakeholder maximization. And when we only focus on our shareholders, that’s when it becomes very limiting and that’s when we can draw fire from other stakeholders. It’s not so unusual for me to have a week of meetings that includes not only my employees, not only my customers, not only media, but could also include principals of local K-12 schools, it could include non-governmental organisations or nonprofit organisations, or members of the community. I have many different stakeholders that I have to answer to. We’re tightly integrated between Salesforce and our community. That’s the key. I view that as a critical part of my business. That’s why when I started Salesforce, on day 1, we put 1% of our equity, 1% of our profit, and 1% of our time into Salesforce.org. We’re tightly integrated between Salesforce and our community. That’s the key. The bigger and more successful Salesforce becomes, the more we’ll invest in our public schools, the more we will invest in homeless, the more we will invest in public hospitals, the more we will invest into NGOs. Also, we do matching grants for our employees. We will provide $10 million to our employees this year in matching grants, which is a total of $20 million in additional philanthropy. Half of that goes to faith-based organisations, half of that goes to traditional nonprofits and NGOs. This is really how I look at it, business is a very important driver of a successful society. Businesses cannot be extricated or disintermediated from the communities they serve. Businesses who do that will do that at their own peril. They will draw fire. And companies who are integrated will be lauded by their communities and not draw fire. In San Francisco, rarely is Salesforce called out as somebody who’s doing something against the city. We’re working to make the city better. Rosoff: How did the 1-1-1 pledge come about? Where did you get the idea for that when you were building a startup? At the time I didn’t know what the specific answer would be, but General Powell has been a huge motivating factor in my career for almost 20 years. Rosoff: How do you deal with criticism? You get a lot of flak for some of your stands, like the ones you’ve taken against anti-LGBT legislation in Georgia and Indiana. Benioff: I’m grounded in the values of our company. Those values are trust — nothing is more important than the trust of our customers and also employees. Two is growth, and we’re a very fast-growing company. Three is innovation, and we’re consistently ranked as one of the most innovative companies in the world, and four is equality. These four values are where I ground myself and if I am going to make a comment, or if I’m going to make a statement, I’m really mostly discussing things in those four areas. That’s where I am. A leopard can’t change its spots, I can’t really become something I’m not, I’m just basically acting out of my experience in business. I’ll be 52 years old this year, I’ve been in business since I was 15 years old, and I know from my perspective what I need to be doing as a CEO which is build a great company that makes the world better. Rosoff: You grew up in San Francisco, and you mentioned that a lot of the critics don’t mention Salesforce when they talk about what’s wrong with the city. But they do talk a lot about the tech industry coming in and raising housing prices, ignoring the local community, and so on. What would you like to see the tech community do to overcome that? Benioff: Well I’d like to see them adopt the 1-1-1 model. 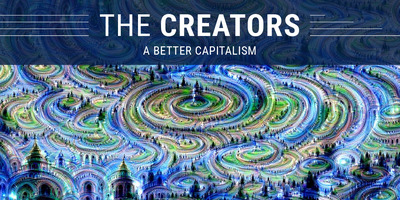 We have now almost 1,000 companies who have joined that pledge 1%. I think it’s very important that every CEO gets out there and adopts a public school. We don’t have that many public schools in the United States, and every CEO and every company needs to adopt a public school. In San Francisco, we have a formalized program called Circle the Schools, where we are trying to get every CEO to adopt a school. One reason we’re seeing higher attendance rates and better educational outcomes in the San Francisco public schools is that over the last 5 years we really have had a more focused public approach in the schools. Just this week, I had meetings with Oakland principals and San Francisco principals, and that is a very important but also very fulfilling part of my job that I can see it’s actually working. A leopard can’t change its spots, I can’t really become something I’m not, I’m just basically acting out of my experience in business. Rosoff: How do you split your time? What percentage of your time do you spend on the foundation versus the business? Benioff: The vast majority of my time is spent on operating my business. I am running a company that has 22,000 people and will do $8.3 billion in revenue this year. That’s growing at a high rate. That becomes all-consuming, but as part of running my business these things are also important. Rosoff: Last year, you noticed that women were making less than men at Salesforce. How did that go down? Who pointed it out to you? Benioff: Gender equality remains a major issue, not just in the technology industry but in a lot of industries — you just have to watch Patty Arquette’s Academy Award speech. Two women, one our head of HR and one who ran our women’s group said, “Hey, we’re paying women less than men at Salesforce.” I didn’t believe it at the time, when we actually looked at the information we were actually paying women $3 million less than we were paying men for the same amount of work, and so we made an adjustment to how we pay women. Rosoff: How do other companies address this kind of inequality? Benioff: On that one it’s very easy. Every company has an HR system, every company knows their salaries, that’s obviously how they pay people, and all a CEO has to do is push a button and look at, “Do I pay women the same as men?” Most CEOs are afraid to push that button. Rosoff: Do you have any practices that help you stay centered, stay grounded, stay on top of things? Benioff: There’s two things. I have a mindfulness practice and I try to practice mindfulness formally a few times a week. Like yesterday I did attend a mindfulness seminar that we had at Salesforce with 500 employees, where we had a mindfulness teacher come in. Rosoff: Mindfulness, what is that, like meditation? Benioff: It’s a meditation type practice, just being able to sit quietly and spend time trying to let go of the stress that I collect during the week running a big business. Number two, on a regular basis I do the same thing with my business: I ask myself five questions. What’s important to me? Including, like we talked about, corporate values in terms of trust and growth and innovation and equality, that’s what we want. Also my own personal values of what I’m trying to do with myself. Then how I’m going to get those things, that’s the third question. The fourth question is understanding the obstacles. The fifth is the measurements. And trying to have some kind of awareness around those five dimensions. Rosoff: A lot of people are feeling overwhelmed by technology these days. People feel like they always need to have their phones on them, always need to be posting, always sharing. How do you overcome that stress? Benioff: I posted something about that on my feed on Twitter today, which is a study from the Journal of the American Medical Association that basically said we’re all spending too much time on our phones and e need to delete a few apps. I deleted my Facebook account completely. I found it was just overwhelming me — exactly the world you used. I’m only on Twitter, I’m on SalesforceOne, which is my internal one for work, I’m on email, and that’s it. And I’m limited to that. I’m trying not to take on more stuff. I was with a friend this weekend, he’s got his Twitter, his Facebook, he has his Snapchat, he’s got all these — too much. Rosoff: Do you have a designated downtime, like you’re putting your phone away for an hour? Benioff: I do, but not as much as I should.